The Wii is a video game system from Nintendo that makes playing games look like magic! The way that you move the controller is reflected on the screen. How in the world does this work? You’ll be surprised to find out that it really isn’t that complex, until you add in the Wii Motion Plus! Let’s take a look at how the Wii actually works. For the actual system, it’s a DVD player that doesn’t actually play movie or audio DVD’s. The games are made on DVD’s, but those are the only type that the system will play. It will, however, play the smaller sized Game Cube games. Many of the original NES, SNES, and Genesis games can also be purchased online from the Nintendo store. The controls of the Nintendo Wii are what set it apart from the other video game systems. Called the WiiMote, it uses a mix of LED’s and an accelerometer that is read by a sensor bar that you put on top of your TV or entertainment center. Other common gadgets that use an accelerometer are touch screen phones that rotate the screen from portrait to landscape when the phone moves, and digital cameras that adjust your camera when you rotate it to take portraits. The sensor bar captures the movements of these and processes it back into the game. There is now an add on to the WiiMote called the Wii Motion Plus. Released with the game Wii Sports Resort, it makes a huge improvement to the accelerometer so the controls of the WiiMote can be tracked at an extremely detailed level. It also improved the sensor bar’s ability to capture small rotations and its depth of field. 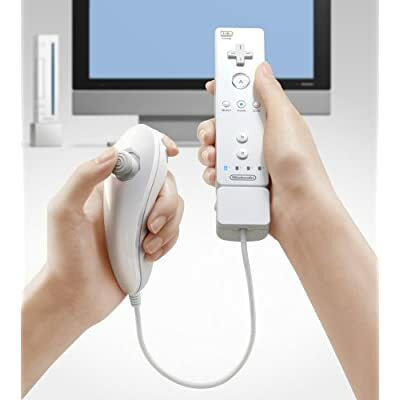 Popular Wii accessories are available that take advantage of this technology. The most popular is the Balance Board. This was bundled with Wii Fit, and captures the movement of your body when you stand on it. It started as a tool for the exercise game, but has expanded into skateboarding, snowboarding, dancing, and yoga games. Games like Wii Sports and Wii Music also have accessories that mock the things used in the games. For example, Wii Sports has golf clubs, tennis rackets, and baseball bats that are made from plastic or foam. The WiiMote is put inside the club or bat to give an increased level of realism to the game. The Wii is a revolutionary piece of hardware, that when you understand what makes it tick, really isn’t that advanced. The key is how well it is all put together in the games!